Thank you to Patricia Brazier for the following research. Thank you to Susan Monaghan for the photographs of her family. 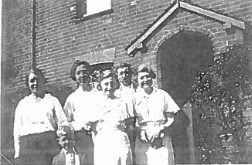 Reginald Harold Peters was born on 4th November 1893 he was baptised in the Parish Church of Shalford, Surrey on 4th February. 1894. 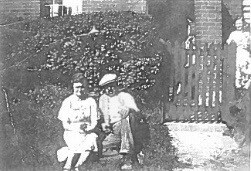 His parents are Joseph Thomas and Mary Ann, they are living in Shalford and Joseph is a Labourer. The National School Admission Registers show that Reginald started at St Martins School on 11th December 1900. He left St. Martins School on the 6th November 1901, when the family left Dorking. The 1901 census shows the family are living in the workhouse in Dorking. As mentioned above the family left Dorking in November 1901. However, the family must have returned to Dorking, as the 1911 census shows them living at 45, Orchard Gardens. Reginald is now 17 years old and is a Labourer in a timber yard. He has one brother, Leonard and two sisters, Doris and Ethel. The War Diaries of the 6th Battalion the Queens Royal West Surrey reports that the Battalion are in trenches at Ficheux in August 1916, which was part of the Battle of the Somme. The Diary says that 30th August was a quiet night and does not mention any casualties. However on 27th August, it mentions that one man was killed by Rifle Grenade, it does not give his name, which means he was not an officer. 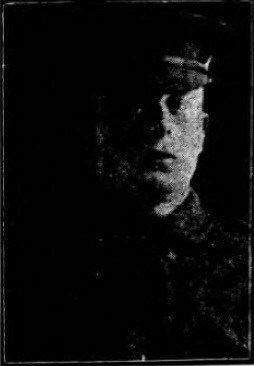 He died on 30th August 1916 and is buried at Faubourg D’Amiens Cemetary near Arras. Reginald Peters received the 1915 star.